It’s Souvenir Sunday at StuckatTheAirport.com. That’s the day we take a look at the fun, inexpensive and “of” the city souvenirs you can pick up when you’ve got time to spend at an airport. 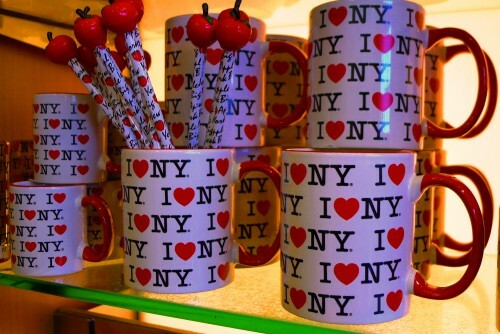 This week’s finds were spotted in the shops at Delta Air Lines’ Terminal 3 at New York’s John F. Kennedy International Airport – JFK. And, while they’re not “of” New York City, these cute kitty-bunnies caught my eye. If you find a great souvenir next time you’re Stuck at the Airport, please take a moment to snap a photo, jot down some notes (price, why you love it, etc.) and send it along. If your souvenir is featured on Souvenir Sunday, I’ll send you a special travel souvenir. Finished shopping? If you’re in Terminal 3 at JFK, be sure to visit the iPad village.